Good news: Experts say you don’t need to spend hours making sure each blade of grass is perfectly hydrated! Canadian Living magazine has gathered the best advice from a team of gardening experts to help you keep your grass green–without wasting water. It may not be much fun but a little elbow grease goes a long way. De-thatch and aerate your lawn every year to make it easier for water to reach the roots. If you need to put down seed, think ahead and consider our summer weather conditions when you’re choosing which type of seed to use. 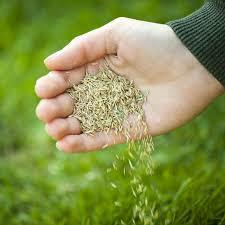 Try overseeding with a drought-tolerant turf mix such as Enviro-Turf or Eco-Lawn. 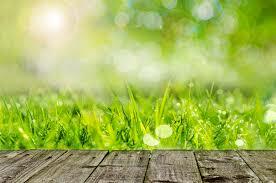 Turfgrass needs very little water each week to remain green and healthy. 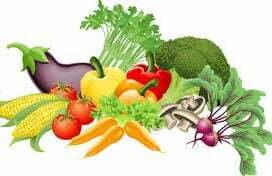 Overwatering, on the other hand, can lead to disease. Water just once a week in heavy soil areas (like most of us in Grey Highlands and West Grey), twice if the soil is sandy. 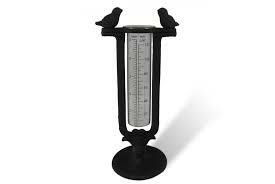 Also, don’t forget to include rain water in your weekly watering measurements. You can find an inexpensive rain gauge at a hardware store or dollar store and it will help you to ensure you don’t exceed the recommended 2.5cm/week maximum. Always irrigate early (experts suggest before 9 a.m is best) so water isn’t lost to evaporation. 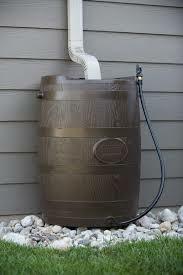 If you don’t like the notion of running a hose or are concerned about water supply from a well, consider getting rain barrels to set up on your property or at the base of downspouts. What doesn’t get used for containers and flower beds can be used on the lawn. People often make the mistake of cutting their grass so short that they’re actually doing more harm than good. Taller grass yields deeper, more drought-tolerant roots, and longer shoots provide shade at ground level, which helps to retain moisture in the soil. Try setting your mower blades to 7.5 cms. Your lawn will look lush and will be easier to maintain in the long run. Don’t rake up your grass clippings. For larger lawns, adjust your mower to the “mulch” setting and leave clippings where they lie. This adds nitrogen to the soil as the clippings decompose, shades out weeds and helps to conserve moisture.